The Canon EOS-M camera is a late entry to the world of mirrorless cameras and has been criticized for having a glacial AF speed and comes with no viewfinder. However, it makes up for its shortcomings by having the ability to utilize the entire line of EF prime, zoom and super telephoto lenses from Canon. This makes the compact camera's flexibility second to none. Although Canon is late to introduce their mirrorless camera, they will not be bested in their next round of EOS-M introductions. Already there is talk of a new EOS-M with a superior viewfinder and firmware to address the shortcomings of the first editions. 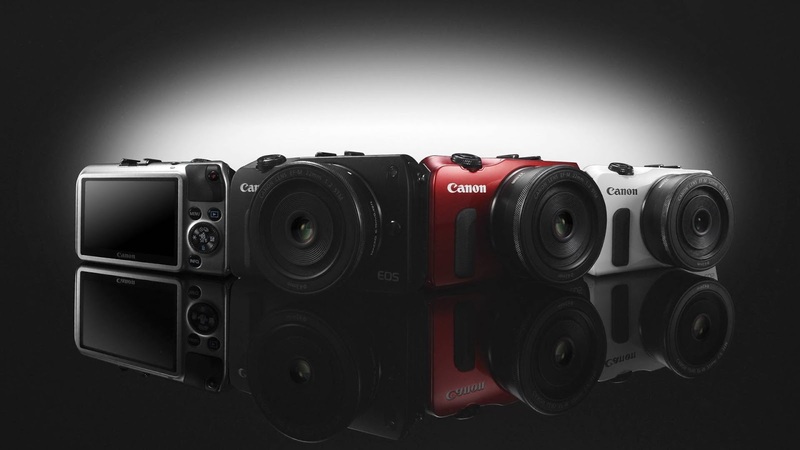 Take a look at my earlier posts of the EOS-M to get a better picture of how this camera is evolving. Also, TDP has put out a comprehensive review of the current camera. It's a bit long but worth a look.